Brian Sullivan, CEO of Sky Deutschland, has extended his contract by two years until the end of 2016, according to German newspaper Süddeutsche Zeitung. James Murdoch, chairman of Sky Deutschland’s supervisory board, is said to have personally negotiated a renewed contract. 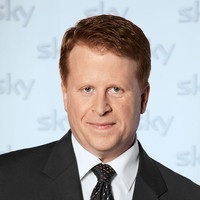 Sullivan has been CEO of Sky Deutschland since April 1st 2010. James Murdoch to join Sky Deutschland? Murdoch to consolidate Sky Deutschland?